Sometimes people get overwhelmed by the costs of all their debts. You should always try to pay these off in any way possible, even if it means making personal sacrifices. But if you’ve rearranged your finances and can still barely pay your minimum payments, you may need to consider bankruptcy. People file for bankruptcy when the cost of their debts is far more than the value of their assets. It may happen if you rely too much on loans and credit card allowances. Debt companies will start hassling you if you’re unable to pay them. If you ignore them, they might even take you to court. In these situations, it’s best to file for bankruptcy to put a stop to these financial problems. Here’s what to do. 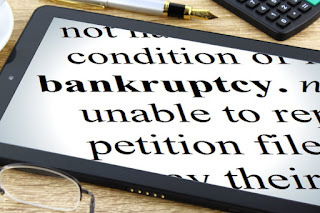 Filing for bankruptcy is a step that should only be used as a last resort. Make sure you’re not rushing into it without considering other options. The first thing you need to do is add up the value of all your assets. That includes cars, savings accounts, property, and anything else besides your bank balance. Weigh this against how much you owe. If you’re able to pay off your debts by downsizing your home or selling your car, you need to. Failing to pay your debts will often result in them being repossessed regardless. You may need to raise your income with a second job. If you’re out of work, you may be able to find other ways to get money. Look at www.yourfinanceformulas.com/2016/10/no-job-no-money-how-to-find-funds-when.html for advice. But there are cases where it seems like you’ll never be able to shirk your debts. Those who are out of a job without many assets to their name will need to file for bankruptcy. It’s crucial that you have a lawyer to help you through bankruptcy. They will make the whole process manageable for you and make sure you land on your feet. They can advise you on what you’re able to keep and what you’ll have to give up. Find a law firm experienced in dealing with personal bankruptcies. There are many out there, such as www.robertederlaw.com. It’s a process with many legal steps, so it’s best not to do it alone. Legal costs may be the last thing you pay for before you go bankrupt. Lawyers will understand your financial situation and offer flexible payment options. It’ll be worth the price to get you back on your feet financially. There are two main kinds of bankruptcy people file for. Your lawyer can advise you on which one of these is best for your situation. Chapter 7 bankruptcy involves liquidating all your assets to pay off your debts. You will lose personal assets such as your home, car, and company if you’re a business owner. Even if you can’t cover the costs of all your debts, you will be discharged and be able to start fresh. Chapter 13 bankruptcy is advisable for those whose financial situation may get better. It allows you to pay off your debt over a longer period. It works like a debt consolidation plan- but run by the court. Bankruptcy will give you a fresh start, so make sure you focus on living without debt this time.